As someone who firmly believes they were born in the wrong decade, I’m thrilled to bring you my second AUTUMN 2017 TREND GUIDE dedicated to my love (obsession?) of 70’s inspired style! I’ve been having so much fun with fashion this season — and although I have been shopping for new items, I’ve also really been challenging myself to make the most of my existing wardrobe, get creative and revive old pieces. Today’s TREND GUIDE features a healthy mixture of old and new — unified by an eye for seasonal colour trends (why yes, I drew inspiration from the PANTONE Fall 2017 Fashion Color Report!). Adventure to the picturesque Red Deer River valley in the heart of the wild, wild west with me today as I chat about a handful of my favourite 70’s inspired Autumn 2017 trends — including teddy bear coats, vintage fall florals, statement boots, boho (faux) leather accessories and warm toned, autumnal makeup. This TREND GUIDE also features tons of shoppable links at every price point, along with strategies for integrating seasonal trends into your your personal style and making them your own! I’m wearing a mixture of investment and affordable pieces today and have included a few tips about about how to decide what’s worth the splurge and when to save your cash, or wait for a sale. Oh, and I’m finally introducing you to my favourite vegan leather handbag brand after discovering them this summer (did I mention my bag is currently on sale for under $20?)! I’m so excited to share the second set of photos we shot during our trip to the Alberta Badlands last month! We really had no idea where we were going to shoot this look, but saw signs for The Star Mine Suspension Bridge and decided to pull over and check it out. Nestled away behind the town of Drumheller, the bridge was built over the Red Deer River in 1931 for the coal workers of Star Mine. It’s definitely worth a stop if you’re exploring the area or planning a trip to the Badlands — the valley is absolutely stunning, especially just before sunset! I’m so happy were able to capture some autumn style content here before the snow started to fly — and I hope you enjoy the beautiful scenery from this unique part of Alberta just as much as you enjoy the fashion! When I spotted this teddy bear coat online at ASOS early this year, it was love at first sight! At the time, teddy coats weren’t particularly popular, but my 70’s loving self had always wanted one — so I snapped it up immediately and I’m so glad I did. 2017 was the year I discovered Paisie — a small, UK based clothing brand that makes some of my favourite outerwear (my gorgeous grey cocoon wrap coat is also Paisie!). Although this coat was a bit of an investment, it’s the softest, coziest coat I’ve ever owned — and I love absolutely everything about it! So naturally, I’m thrilled the teddy coat is having a major moment in AW17 fashion. If you’ve been following along since the summer to fall transition, you’ll be familiar with the PANTONE Fall 2017 Fashion Color Report — since I’ve drawing inspiration from that palette across categories here at JustineCelina since late August! I’ve always been a lover of warm browns, but this season warm toned browns and oranges are everywhere — and my snuggly teddy coat is the perfect example of a statement piece made extremely wearable because of its neutral hue (which is a great representation of Pantone’s Autumn Maple!). I’m actually surprised how much I’ve worn this coat this year — I also wore it to Vancouver (it’s the perfect piece to wear on the plane during cold weather! ), but in my offline life it’s been a major staple as well. In the fall, my favourite way to wear it paired with dresses of any length — but it also looks great over a simple jeans and sweater combo to inject some extra style and texture into your outfit. This season, the teddy bear coat is popping up in every colour and at every price point imaginable — so if you’re in the market for one, I’ve rounded up my favourites for you below! If you’ve been hanging around my FASHION archives for any length of time, you’ll understand my love of fall florals. They’ve been on trend since last autumn — and they’re actually my favourite type of floral to wear! My personal style isn’t overly feminine, so soft, pastel florals aren’t really my thing. However, I can completely get on board with vintage inspired prints, warm autumn tones, or deep, wintry hued florals (last autumn I donned this moody floral number, I wore an autumnal, floral kimono in my last style post and I also picked up a fall floral turban style headband at the beginning of the season!). Today, I’m wearing a shift dress is from Zara that’s just $25 — it’s still available in all sizes and a bunch of different colours as well! This dress totally doesn’t look appealing online, but I spotted it in store and fell in love with the colour story for autumn (it basically includes every shade from the PANTONE Fall 2017 Fashion Color Report!). One of my favourite silhouettes for fall is boxy shift dresses with paired with OTK boots — and I think it’s a look that flatters a variety of body types. If bare legs are no longer an option where you live, just layer some cozy tights on! I love to wear skirts and dresses of all lengths at this time of year and get creative with my layering — you’ll see a lot of that coming to JustineCelina later this year! Soft leather was all over the runways this season — it’s a trend I also mentioned in my first Autumn 2017 Trend Guide. I’m sure most of us have a selection of leather and leather-like pieces in our wardrobes, so ladies — it’s time to bust them out! Autumn 2017’s leather is more softer and sumptuous than seasons past — and I absolutely love warm toned leather accessories in shades inspired by Pantone’s Butterum and Autumn Maple. To complete this western inspired, 70’s look, I chose a bag I’ve been wearing multiple times per week since I purchased it this summer, but hadn’t yet made it’s way to the blog — Sole Society‘s Clovey in taupe! Clovey was one of my first purchases from Sole Society — and if you follow along with Insta Stories you’ll have heard me rave about the quality and all the other colours I want! It’s now on sale for just $19.78, it’s vegan leather and the quality and craftsmanship are incredible. I can’t recommend these bags enough if you’re in the market for durable vegan leather in a variety of styles! I also purchased their Keyon bag, which has been another staple of mine (and is also on sale for $32.48!). I’ve linked all my favourite Sole Society bags up for you below if you’re looking to embrace AW17’s soft leather movement in an affordable or vegan way! Handbags are one area of fashion I almost never splurge in — you’ll never see me carrying a designer bag. I love finding quality handbags at affordable price points! These boots are polarizing. People either love them or hate them — but isn’t that the joy of statement pieces? Every time I wear them they’re a huge conversation starter and I have women (and sometimes even men!) of all ages complimenting me on them and asking me where they’re from. These beauties are actually one of my oldest pairs of shoes, they’re Jeffrey Campbell Frontier and they’re at least 7 years old. They’ve aged beautifully — each scuff, scratch and fold gives them a lived-in patina that you just can’t buy. I don’t wear these boots very often and they’re definitely not the most practical boot I’ve ever purchased — but they’re like an old friend and I will never, ever part with them! They were a crazy splurge at the time, but as soon as I saw them I knew they had to be mine. I bet we’ve all had an encounter like that with a certain piece, right? Whether it’s that statement item you either splurged on with no regrets, or maybe you let it go — and it still haunts you to this day! As someone who loves to experiment with fashion, I have one simple rule: if you really love something, buy it. Pass on everything that doesn’t excite and inspire you, or work for your body or your lifestyle. If you follow this rule, eventually you’ll end up with the wardrobe of your dreams full of pieces you absolutely adore, even if it takes a long time to build. I’ve been sticking to this mindset for the past 5 years — and I think it’s totally worth it! While these western style OTK boots may not be everyone’s cup of tea, statement boots are popping up everywhere this season — and there really is something for everyone! I have an upcoming AW17 Shoe Guide planned for next month where I’ll be featuring some other statement boots, but in the meantime I’ve rounded up some of my favourites for you below featuring a handful of seasonal trends (those Aldo Fiery’s just went on sale and I’ve been eyeing them for a couple of months now!). At this point, I don’t really feel like there’s much to say that I haven’t already said in almost every single TREND GUIDE I’ve produced here at JustineCelina — but round, 70’s inspired shades continue to trend and continue to be my favourite style to wear! Vintage (and vintage inspired) round sunglasses are an item I’ve worn for years, long before they were particularly on trend and long before I started blogging. So of course, I’m elated that they’re here to stay this AW17 and have been padding my circle shade collection! The plus side of loving a style that’s currently on trend is that there’s a plethora of inexpensive styles to choose from. One item I almost never splurge on is sunglasses. I’d rather have a wardrobe of sunglasses to choose from than a few investment pairs! This particular pair has been with me for a few years (in fact, I also wore them here, here, here and here) and they’re one of my favourites. I can’t remember where I originally purchased them (it was Forever 21 or H&M if I recall correctly), but they were extremely inexpensive and go with everything! Their warm grey lenses and neutral arms (no worries about mixing metallics!) make them extremely versatile. If after all these years I’ve finally convinced you to try a pair of round sunnies, I’ve linked up my favourites for you below at every price point! Warm toned makeup continues to trend this AW17 — and as a warm toned gal myself, I’m all for it! I’ve actually already mentioned everything I’m wearing here at JustineCelina previously. I’m still loving FENTY’s foundation (review here) and Bite Beauty’s Amuse Bouche Liquified Lipstick in Purée — a stunning, wearable burnt orange shade (review here). I’m also wearing Colourpop’s Super Shock Highlighter in Lunch Money (review here) and my warm smoky eye is courtesy of Urban Decay’s Naked Heat Palette (review here), along with my new favourite Kiss Blooming Lashes (review here). I’ve rounded up all my favourite autumnal beauty goodies for you below! What do you think of this selection of seasonal trends? Are there some you’ve already integrated into your autumn wardrobe, or are intrigued by? I hope this post inspires you to shake things up in the fashion department, only purchase items you love and pull out those statement pieces to restyle them and give them new life — after all, they deserve to be worn, not to collect dust in your closet! I’m currently scheduling A/W style content through February and have so many exciting things (and possibly a few more roadtrips!) planned — but if you have a request, feel free to leave me a comment! Disclaimer: Thank you to my friends at Joydrop for my gorgeous Gorjana necklace and Jools & Joplin ring. This post is not sponsored, and contains my genuine thoughts, ideas and recommendations. 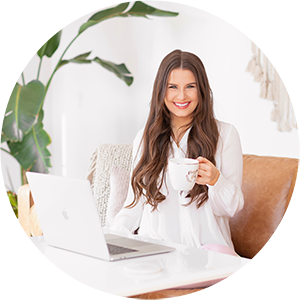 JustineCelina uses affiliate and referral links, which allow me to receive a small commission when you make a purchase through one of my links. Thank you for supporting the brands and businesses that support JustineCelina!